’Tis the rage these days to couple up food with wine, paintings with floral arrangements and room decor with fashion. Let’s push the duo dynamic a bit further and match up your loved with ones with the perfect fantasy weekend. Every impeccable picture-postcard vision you have of New England is captured in a luxury-filled cocoon called Twin Farms. “We like to think it starts with our property—300 acres of Vermont countryside,” says John Graham, managing partner of the resort. Aye, and there’s so much more. It’s impossible not to be romantic here—and royally. 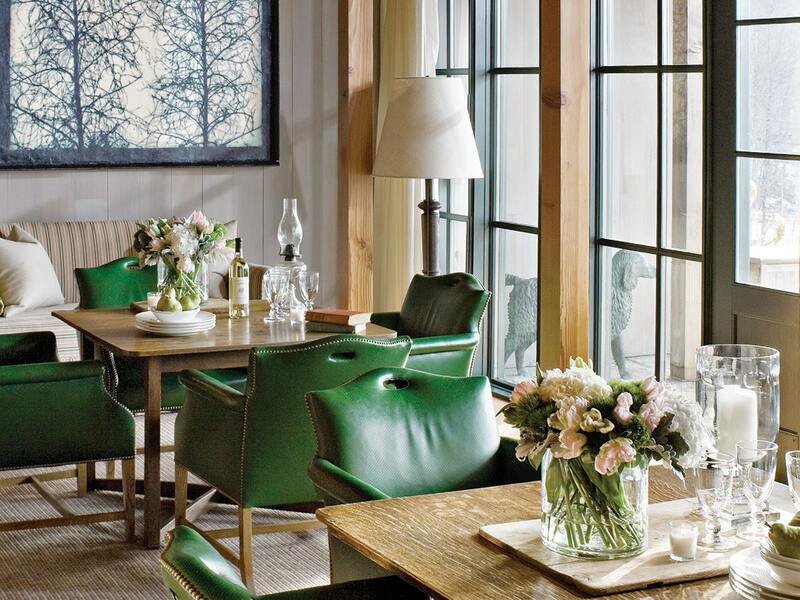 The Relais & Châteaux five-star property pampers guests in literally every sense. Smell the aroma of wood-burning fireplaces in every room. Taste the custom-prepared meals at executive chef Nathan Rich’s collaborative dinners. See the lush gardens, lakes and hiking trails. Feel the sumptuous Anichini linens, and hear the Zen music during your couples massage, followed by a bubble bath and Champagne. “We welcome our guests as if they are part of our family from the moment they walk in,” Graham says. “We are here for you.” That includes tours of the property’s renowned design (there are 20 exquisitely designed cottages), museum-quality art collection, wine cellar, state-of-the-art gym, spa and a pub straight out of Dickens’ England. The all-inclusive resort aims to fulfill every desire, from paddleboarding to cooking classes and art weekends, including one May 18 that welcomes international street artist Kelsey Montague. There is no reason to venture off the property, which has hosted top celebrities and VIPs from all over the globe, who, like us, will travel near and far to experience a slice of New England that’s as excellent as it gets and to celebrate a thing called love. GRACE MAYFLOWER INN & SPA WASHINGTON, CONN. The girls weekend. A study in gender dierences. Bring a gaggle of females together, and chances are, deepseated secrets will be unearthed. Dreams shall be shared. Clothing will be swapped. Makeup —who needs it? It’s a special place in heaven that can properly accommodate the demands of a good friendship, and the Grace Mayower Inn & Spa is it. “From the beauty of the property to the services, guests immediately feel a sense of calm and relaxation, setting the tone for a great escape,” says General Manager Monica Neumann. First, there is the 20,000-square-foot spa, the Shangri-La, boasting a sunsaturated sitting room dotted with oversize, uy ecru couches and chairs. ere’s a gorgeous boutique with eggshell-blue cashmere pullovers and petal-pink sherpa socks, and extensive spa services that peel years o the skin and lull racing hearts to a meditative state. Which will all perk up again at the realization of a bounty of oerings: a Shakespeare garden, fencing class, decadent pastry... and oh, a smashing wine list. Go ahead ladies, bond. WHITE ELEPHANT VILLAGE NANTUCKET, MASS. There’s candy in the lobby. That is the first clue. The shining fleet of Red Flyer Wagons in the front yard is the next hint. The White Elephant Village team wants your kids to have the time of their lives. And it’s impossible not to. 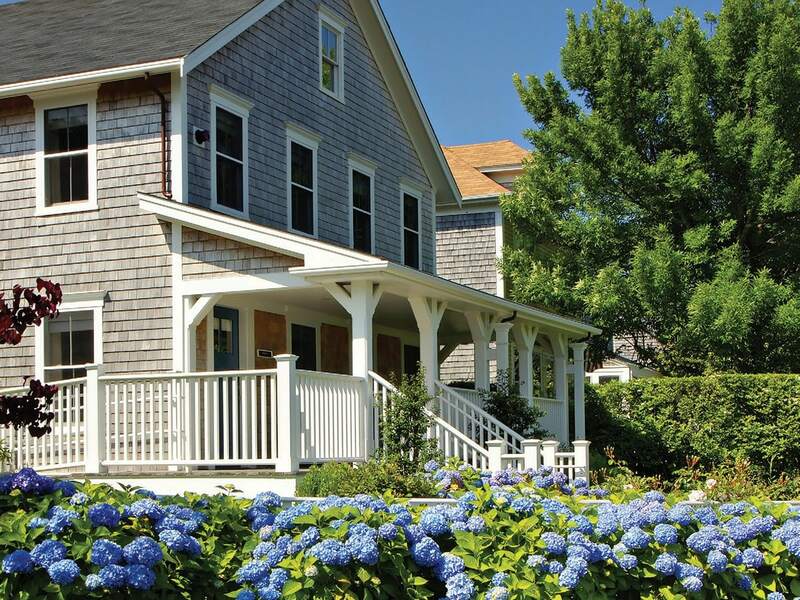 The renowned property, just steps away from the beach and the town center that looks like a movie set, has always enjoyed a top-tier reputation on Nantucket. Guests have exclusive access to Barton & Gray’s spectacular Hinckley picnic boats, Priority Bikes, a luxurious pool and for those booking a top suite, keys to a 2018 BMW. Special kids activities include mini-chef classes and a scavenger hunt, which comes with a Barnaby Bear passport and a nautical tote bag filled with an extending telescope and glow sticks. And every little tyke is given pint-size spa slippers. General Manager Bettina Landt is always on hand to oer her perfect family-day suggestions: “A Brant Point Grill breakfast, followed by a walk to Jetties Beach. In the afternoon, a bike ride to Madaket with lunch at Millie’s, then an afternoon back at the pool or touring through the Whaling Museum before dinner at Topper’s on our heated patio.” Sweet dreams, kids.